Beach Design partnered Fairmont Hotels and Resorts with another customer – American Express Travel, proposing a mutually beneficial promotion. To promote the 5-star global hotel brand in key targetted areas throughout the UK over a 1 year period. 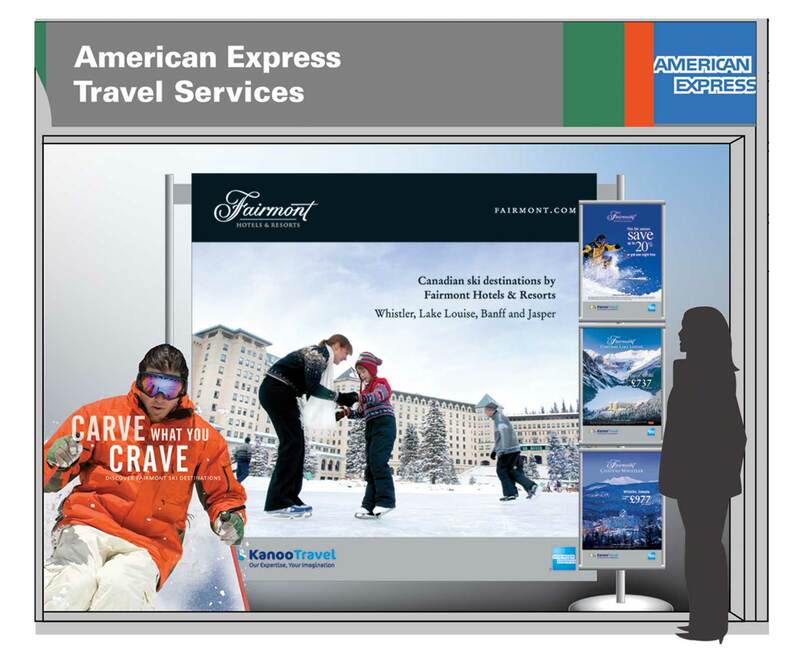 We partnered Fairmont Hotels and Resorts with American Express Travel, each with a similar demographic market. This lateral link enabled us to promote the hotels within key categories eg. Ski / EMEA / European / Safari, in a single prominent window in each store covering England and Scotland. Great coverage in key locations aimed at the right demographic market with a cost-effective, interchangeable, eyecatching display.